New bylaws governing public art to be published this year. 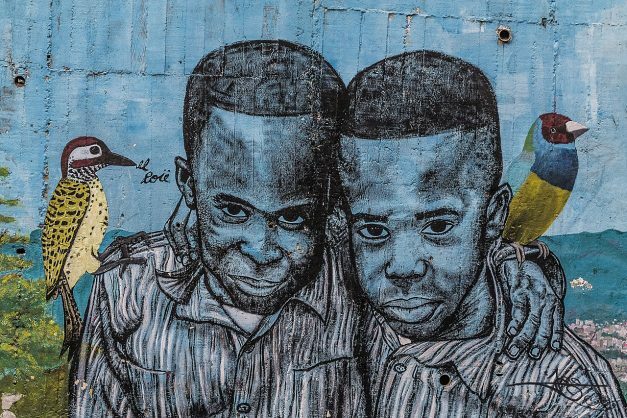 About a year ago, murals on public and private buildings were strictly prohibited, and no provision was made within the City of Durban’s legislative framework, under any department, for public art, reports the Berea Mail. But this is expected to change as the City undertakes to include provisions in the new bylaws, which will lift the strict ban and enable the legalisation of installation of murals and public art on buildings within certain precincts. This framework is currently under review, and it is expected that the new bylaws will be granted and published in June of this year. The revelation comes after the installation of the 600 square-metre mural, depicting the late Anton Lembede, founder President of ANCYL, and after whom Durban’s Smith Street was renamed. Katie Friedman, group marketing director of the company that commissioned the artwork, said the timing of the unveiling was good, as the municipality was in the process of reviewing and rationalising its outdoor advertising bylaws, and immediately put together a task team to consider the broader issue of public art and permissions. “We had a series of meetings with the task team to present not just our plans for the Anton Lembede Street piece, but global best practice and learnings from around the world, including progressive legislative papers created around this matter by the City of Melbourne in Australia in 2014. “We are so proud to be the catalyst and test case, working with the City of Durban to create a platform and legacy for encouraging public art. City officials have been extraordinarily responsive, engaging and supportive, and we feel extremely privileged to be working in such a vibrant, progressive city,” she said.